Alex McLeish revealed his pride at leading Birmingham to their first major Wembley final for 55 years tonight. Blues looked on their way out of the Carling Cup when a Carlton Cole goal meant they trailed 3-1 on aggregate to West Ham in the second leg of the semi-final at St Andrew's. But goals from Lee Bowyer and Roger Johnson forced the game into extra-time before life-long City fan Craig Gardner scored the winner. The half-time introduction of Serbian striker Nikola Zigic helped turned the game in Birmingham's favour. 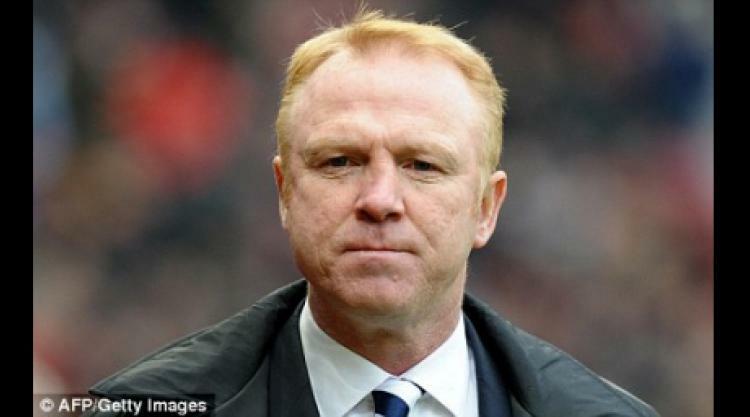 McLeish said: 'It was a really exciting moment for me when the final whistle went in realising what myself, my staff, the players and everyone has achieved. 'It was a magnificent second half and to walk a team out at Wembley will be one of the proudest moments of my career. 'The first half was a huff and puff job from us and they looked quite comfortable and Cole scored an amazing goal. 'I thought at half-time "we are out of the cup, we have to make changes, change the tactics and approach." 'Nikola Zigic had his best game for the club and was much more aggressive and he realises what it takes to be a success in England and that is the best I've seen him. Blues will face Arsenal in the final and McLeish recognises the Gunners will be red hot favourites. He said: 'They will be hot favourites and have been for a couple of rounds now but you never know. 'It is XI v XI. We will try and get the tactics and strategy right and try and cause a major upset.